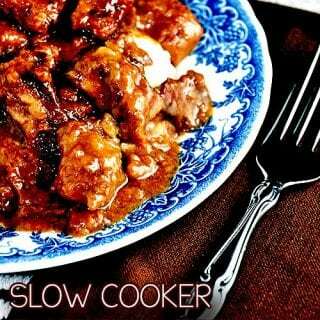 Slow Cooker Beef Tips and Gravy - Recipes That Crock! Would you like to come home to comfort food this fall? Check out this delicious Slow Cooker Beef Tips and Gravy recipe for a hearty meal to warm you up this fall and winter! This recipe is the first of our Sizzle and Crock recipes this week! 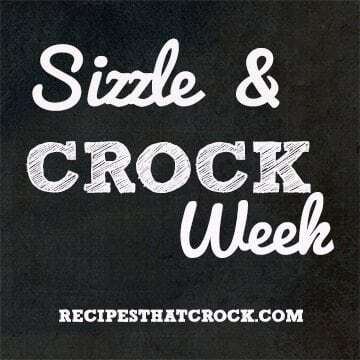 We are dedicating a whole week to cRockin’ recipes that require a little sizzle before or after slow cooking. Now I know, I know… Many folks avoid extra steps when it comes to slow cooking and I am totally with you. I don’t like having to spend extra time or making a mess of more than one pot any more than you do– believe me! But that is what this week is about… getting more out of our slow cookers while keeping the hassle to a minimum. Stick with me here and I promise you won’t be sorry! This recipe can be found in Gooseberry Patch’s Slow-Cookers, Casseroles & Skillets . This is great cookbook that I have kept on my smart phone and tablets for years in the ebook version. You start by putting your flour and seasonings in a large ziplock bag and tossing your meat in it to coat. You then brown your meat in the oil in a skillet OR if you have a stove top safe slow cooker, (psst… I am giving one away with a copy of this great cookbook) just place the stove top safe crock on the burner, brown your beef and then pop back in your slow cooker unit. Easy peasy- one pot meal! While your meat is browning, mix up the remaining ingredients. Place your meat in the slow cooker (if not already there 😉 ) and pour sauce over top. Cook on low for 8-10 hours. Comfort food straight from your crock pot! Slow Cooker Beef Tips and Gravy. Combine flour, garlic and onion powders and salt and pepper in a ziplock bag and toss meat to coat. Heat oil to medium in a skillet or stove top safe slow cooker and brown meat. Combine remaining ingredients and pour over top of meat in slow cooker. 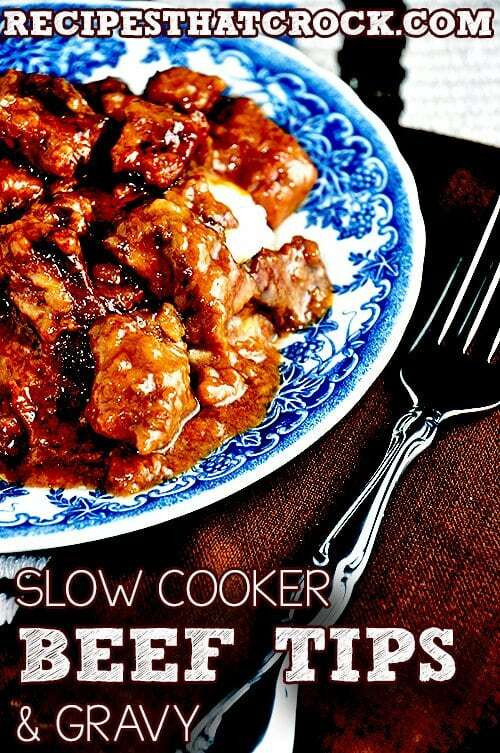 Stay tuned this week for more Sizzle and Crock Recipes from Gooseberry Patch’s Slow-Cookers, Casseroles & Skillets! Thank you for a recipe that did not include mushroom soup and Lipton onion soup mix!! Everything I read had those ingredients until I found yours! I’m going to make this tonight and can’t wait to taste!! I just made this and I can’t wait until it’s done. Unfortunately, I started shortly after noon, so it’s not going to be an all day cooking. But, it will be cooking more than 5 or 6 hours, so it still should come out fine. Happy to have found this!